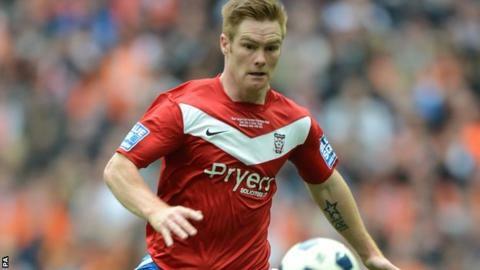 Gateshead manager Gary Mills has confirmed former York striker Jason Walker is training with his squad and is hopeful he will join on 1 January. The 29-year-old has been a free agent since leaving Swedish second-tier side Ostersunds FK in November. Mills and he scored 27 goals in 73 starts. "Jason's getting his sharpness back as he's had a few weeks off. I'd like to sign him when the transfer window opens," Mills told BBC Newcastle. "He's a player who suits the way I like my teams to play. He scores goals, holds the ball up well and has a great leap for a small bloke."